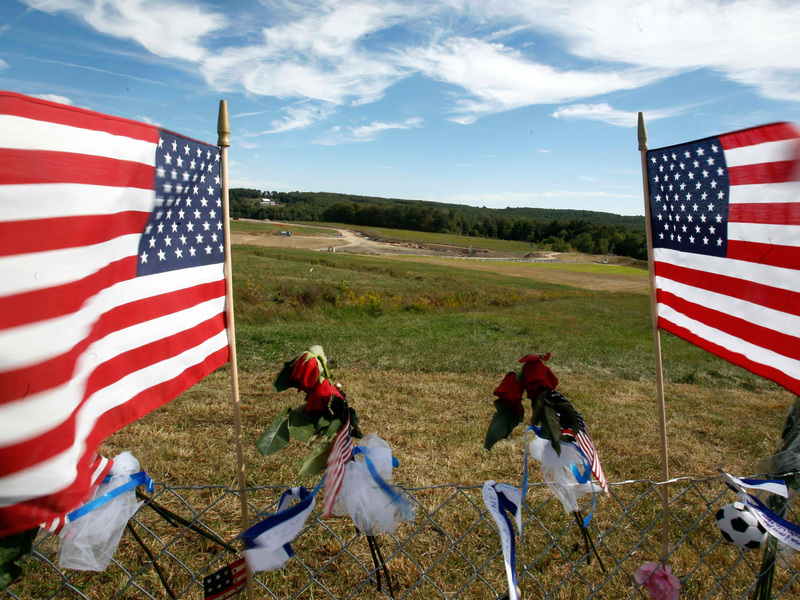 (AP) PITTSBURGH - A former police officer who retired from the FBI due to post-traumatic stress disorder linked to her role in the aftermath of the Sept. 11 terror attacks has written a book about seeing legions of angels guarding the Pennsylvania site where a hijacked airliner crashed. "I was there one day when they brought a busload of family members to overlook the site ... and I teared up," McCabe said. "Just because these people had the thousand-yard stare. They didn't have any closure. They didn't have any bodies to look at. They didn't have anything to look at. At least in New York and Washington, there was the devastation (of the World Trade Center and the Pentagon) but here, except for seeing someone off in the distance, in the woods, looking for things, there was nothing." Leonardi has befriended some Flight 93 family members, though none consented to be interviewed for this story. Asked about the book, the spokeswoman for the Families of Flight 93, Lisa Linden, issued a statement lauding the "extraordinary work" done by the FBI that also said, "The crash site and sacred ground -- now central to the Flight 93 National Memorial -- is a place that elicits powerful reactions from those who work at the site and who visit." Leonardi's story has caught the attention of WQED, Pittsburgh's public television station, which featured a segment on her book in a March episode of "Pittsburgh 360," a public affairs and current events show. The Rev. Ron Lengwin, spokesman for the Roman Catholic Diocese of Pittsburgh, counts Leonardi a personal friend and also interviewed her on his weekly radio show, Amplify. "I have no reason to believe that she did not see angels," Lengwin said. "I think it's not surprising to me that God could choose to say that he was present there to give comfort to people, and to give comfort to the people who were there to give comfort to other people." Leonardi still lives in Arnold, a tiny city about 20 miles northeast of Pittsburgh where she began her law enforcement career in 1984 as the town's first -- and, so far, only -- female police officer. She said her primary reason for deciding to go public with her story after years of soul-searching is to heal and to bring comfort and healing to others affected either by the attack or post-traumatic stress disorder. "The purpose of the book is to tell the story of the angels being there so that other people understand that God was there," said Leonardi, who said she was raised a "devout Catholic" but now practices what she calls "spiritualism." Leonardi, who was a teen mother and wife, said she has no doubt about what she saw, but wonders why she was allowed to see it. "You get pregnant and married at 16, that's not exactly, you know, holy material," said Leonardi, now a divorced grandmother. "To this day I know I saw those angels, I've never doubted that. What I doubted was, why me?"